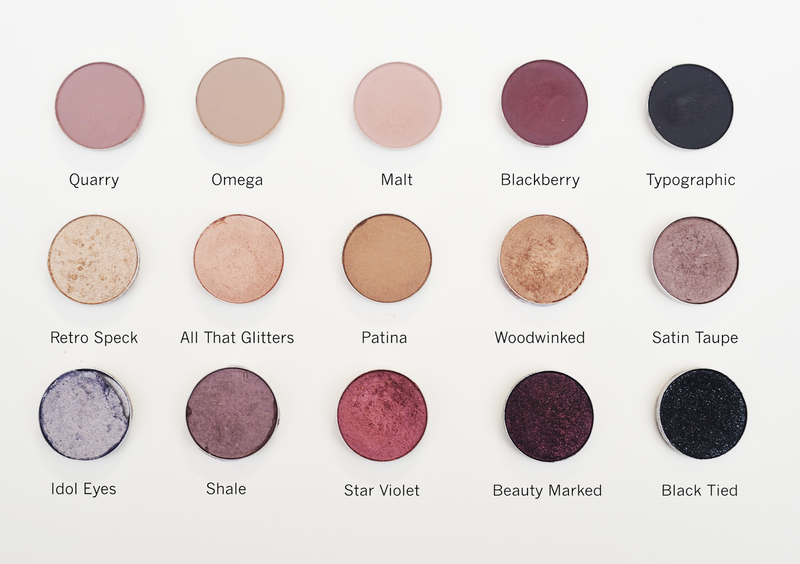 I know everyone in the blogging world has a MAC Palette and you have probably seen hundreds of them before now, but I thought I would share mine anyway! After falling back in love with MAC eyeshadows I finally finished my palette in January when I added the last three matte shades; quarry, omega & malt to my collection. After years of collecting I finally have a palette that I'm happy with and can be used for creating both day and night looks. I'm always drawn to a good neutral shade but I have added in a few darker ones that are perfect for an autumn/winter evening look. My Favourite shade has to be satin taupe as it is the perfect cool toned neutral shade for an everyday look. I always think idol eyes looks a little out of place when with the other shades, but I simply had to add it to my collection. 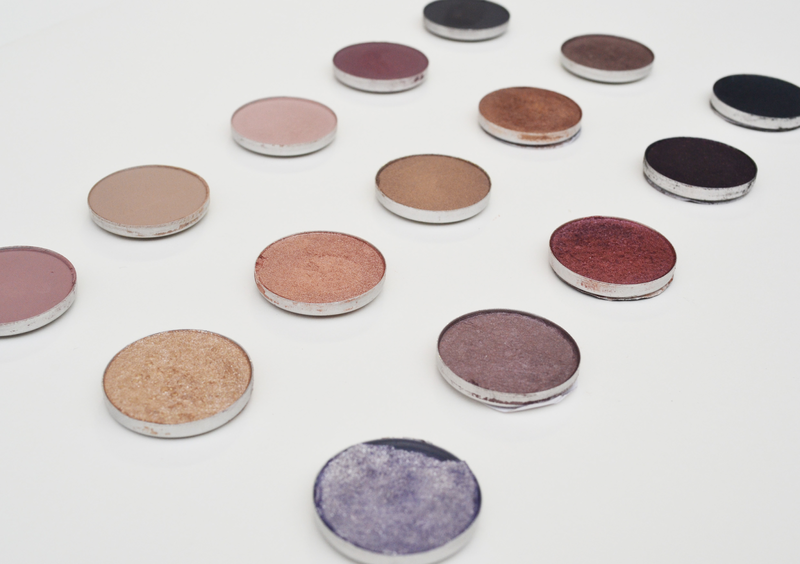 With its purple/silver tones I sometimes use it as a glitter overlay over a matte eyeshadow for a night out. What I wear on a day to day basis varies but these will always be my core shades. I always buy mine from store as I like to see the shades in person and try them out first, but you can get them online (Eyeshadow, Insert & Palette).